Apple could surprise us with updated AirPods before the end of 2018. But don’t be fooled by supposed “leaked” photos that claim to offer our first glimpse at the new headphones and their packaging. The publisher claims the refresh will bring Apple’s long-awaited wireless charging case, better sound, and more. Some things just don’t add up in this case, however. 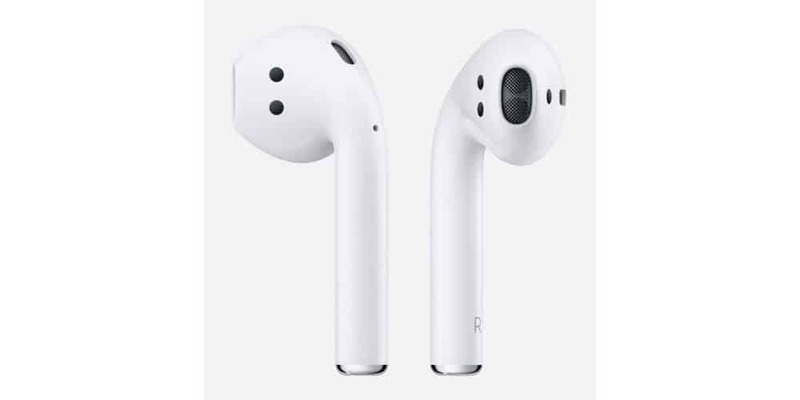 Published by Benjamin Geskin, who has reliably leaked upcoming Apple products in the past, the photos purportedly reveal the 2018 AirPods for the first time. They hint at an updated design and new features. Text on the box suggests the headphones will ship with a wireless charging case, while Geskin claims we can also look forward to “better sound,” and Apple’s latest W3 wireless chip that just debuted in Apple Watch Series 4. Are these the new AirPods? Almost certainly not. The new AirPods are also claimed to offer “Hey Siri,” which would allow users to feed voice commands to Apple’s intelligent assistant without pressing a button first. But you should take these photos with a hefty pinch of salt. Almost immediately after Geskin published the images, fans had doubts over their authenticity. They’re incredibly blurry, which usually (but not always) suggests they’re fake, while the updated design just doesn’t look convincing. What’s more, one eagle-eyed follower has pointed out that the model number on the packaging — MMEF2AM/A — is actually the model number of the original, first-generation AirPods. Geskin has since deleted the images from his Twitter account and acknowledged that they were probably fake. Will we see new AirPods in 2018? Recent reports have suggested Apple could introduce updated AirPods this year, while others have claimed the next-generation buds have only just entered the prototyping phase, and therefore won’t appear until 2019. Whatever the case may be, the AirPods you see in the photos above almost certainly aren’t what Apple will deliver.